Todays Dekmantel post is made up of two records. Palms Trax ‘In Gold’ repress and Occult Orientated Crime (Legowelt) ‘Just A Clown On Crack’. In Gold was originally released in 2015 and was the artists debut record on Dekmantel, before being superseded by ‘High Point On Low Ground’, earlier this year. High Point On Low Ground was our first introduction to the Berlin based selector and we were instantly won over by his uncanny ability, for someone so young, to blend the old and new in such a way that was respectfully reverential, fresh and exciting. ‘In Gold’ is equally as enthralling as its successor, making it a repress to snap up while you can. 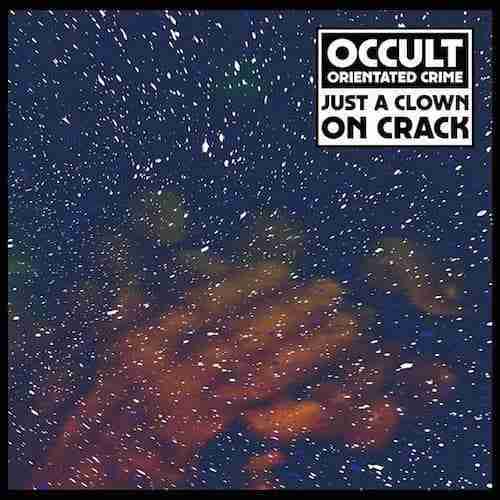 The second record ‘Just A Clown On Crack’ is Legowelt in typically idiosyncratic form. Whilst there’s no denying his talent for creating elaborate, enthralling and evocative vistas from widely unique sonic experiments, you can’t help but feel that at times his free flowing boundaryless approach, on occasion, could perhaps benefit from a second opinion. In a way Legowelt is the Stanley Kubrick of electronic music. Like Kubrick not everything he writes always hangs together, at times the ideas are overly complex, bewildering and can lack a clear end focus, yet when it does come together it is often breath taking and memorable. For us ‘Just A Clown On Crack’ perfectly encapsulates these contrasting fortunes, with the fantastically titled ‘Bridge over a Golden Duck Pond’, ‘Japanese Trains’, and our personal pick ‘Blue Astral’ all hitting the mark, whilst ‘Telephatic Consultation’, ‘Central Cost Drifter’ and closer ‘Just A Clown On Crack’ could easily have been omitted from the EP. Having said that, chances are, like the debate around Kubrick’s filmography our choices are divisive. Either way there is much to be admired here.